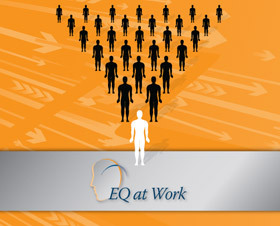 EQ at Work, in association with a select and highly trained team of professionals, is available for Specialist Corporate Consulting projects throughout Australasia. 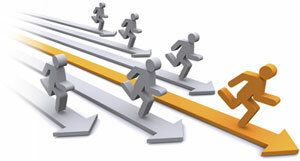 You create a Model of Excellence by comparing your organization’s high performers in a given role with a comparable group of peers who do not perform as well. 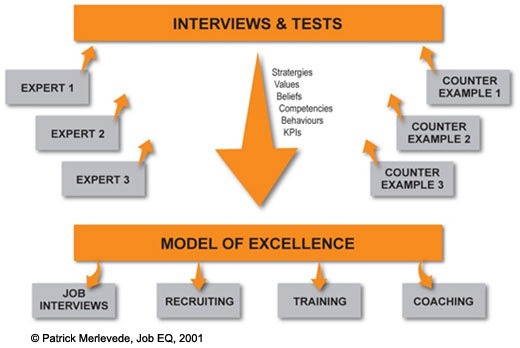 Modelling and Replicating Expertise is a scientific process that involves profiling, and statistically analyzing the differences between the highest and lowest performers in a specific role. The top performers are then also interviewed and their specific values, ways of thinking, beliefs, competencies, strategies and actions mapped. Click here for a detailed description of how iWAM and a Model of Excellence can integrate the HR system and significantly reduce recruiting, training and coaching budget.